After 3 years of hard-work, successes and achievements, the MED-DESIRE project will come to its completion as the year 2015 ends. The MED-DESIRE partner in Lebanon, the Lebanese Center for Energy Conservation (LCEC), under the patronage of the Minister of Energy and Water, H.E. Mr. Arthur Nazarian, will be holding a final capitalization social dinner that will take place on Monday, 21 December 2015 at Mandaloun-Sur-Mer restaurant, BIEL, Beirut at 8:00 pm. With more than 200 participants expected to attend, this dinner will bring together all the stakeholders and partners who contributed to the successful implementation of the EU-funded MED-DESIRE project. In Lebanon. The event will be an opportunity to share the successes of MED-DESIRE, the barriers removed, the results achieved, and to ensure the sustainability of the momentum created by the project. The dinner will be also an occasion to officially launch the preparations of the International Beirut Energy Forum 2016. MED-DESIRE (MEDiterranean DEvelopment of Support schemes for solar Initiatives and Renewable Energies) is a project co-funded by the European Union through the ENPI CBC MED Programme 2007-2013. 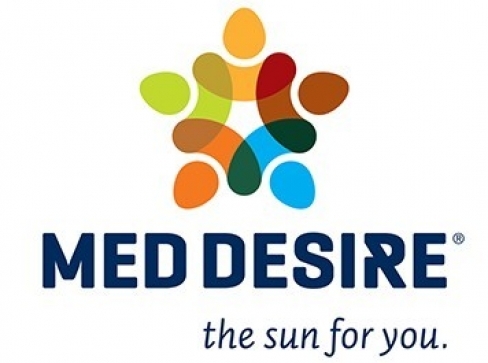 MED-DESIRE includes 9 partners from Italy, Spain, Egypt, Tunisia, and Lebanon. The MED-DESIRE project aims at the removal of barriers for distributed solar energy technologies in Lebanon, on the development of market stimulation tools such as innovative financing mechanisms for local authorities and solar ordinances at the local level, and on raising awareness on climate change, renewable energy (RE) and energy efficiency (EE) issues since January 2013.